Creating a cohesive and consistent brand for your dental practice requires more than just a word processor and some catchy fonts. Elegant branding can elevate your success by attracting the types of patients you want to treat. Whether you’re opening a new dental practice or re-branding to fit a change in your approach to dentistry, you have to start with a few basic principles. Fiddling around in a trial version of Photoshop or stylizing a font on your own (or having one of your employees who loves art create your logo), are not ideal methods for branding that speaks to your practice’s vision. Branding is important because it subconsciously influences a person’s perception of your business. Haphazard, inconsistent, or lackluster branding can limit prospective patients’ sense of the quality of care you offer. This doesn’t have to be as long as your vision and mission statements. It should build off of them though. Pick out one word/phrase that you think represents the ‘feeling’ or first impression you want patients to have the minute they step foot in your practice. The word could be ‘excellent,’ ‘welcoming,’ or anything else that sticks. Use it to guide your decision making for the next two steps. This ‘touchstone’ clarifies your brand intentions. 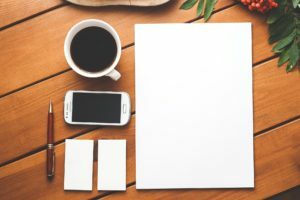 Your color scheme doesn’t necessarily have to extend to every small detail of your office and promotional materials (and it should be used tastefully with plenty of white space), but it should be consistent in your logo at the very least. Color is powerful, which is why you must use it wisely. Choose two to three complimentary colors (and more specifically, the exact shade of those colors) that you think best evoke your touchstone. You can also have a graphic designer assist you in selecting a color scheme. A quality logo is not going to be made by anyone other than a professional graphic designer. Make a small investment in a logo designed by someone who has spent years studying the visual intricacies of imagery. You can find graphic designers on freelance websites like Upwork. 1. No Comic Sans. Ever. 2. The logo should retain visual clarity in all sizes (think the Nike logo, i.e. try to avoid a logo with small flourishes/details). How have you branded your dental practice? We’d love to hear from you in the comments!